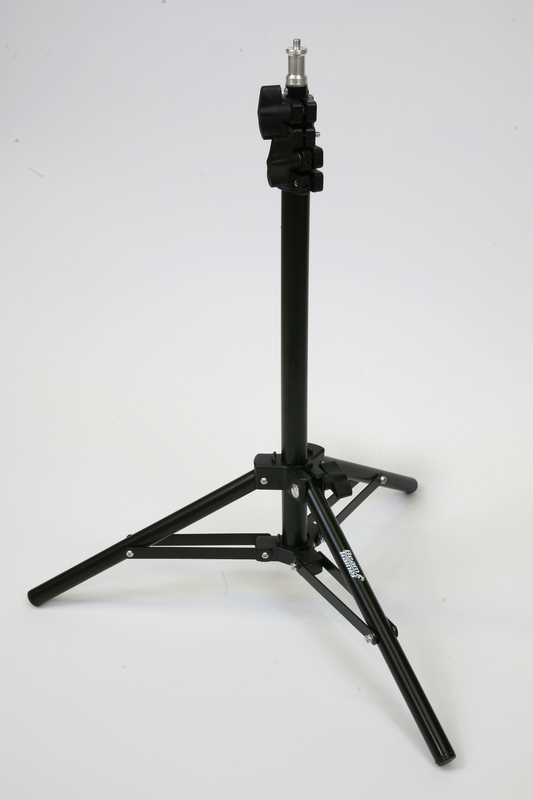 A complete wireless timing gate system with extended radio range, Torso Detection Technology and built-in timer. 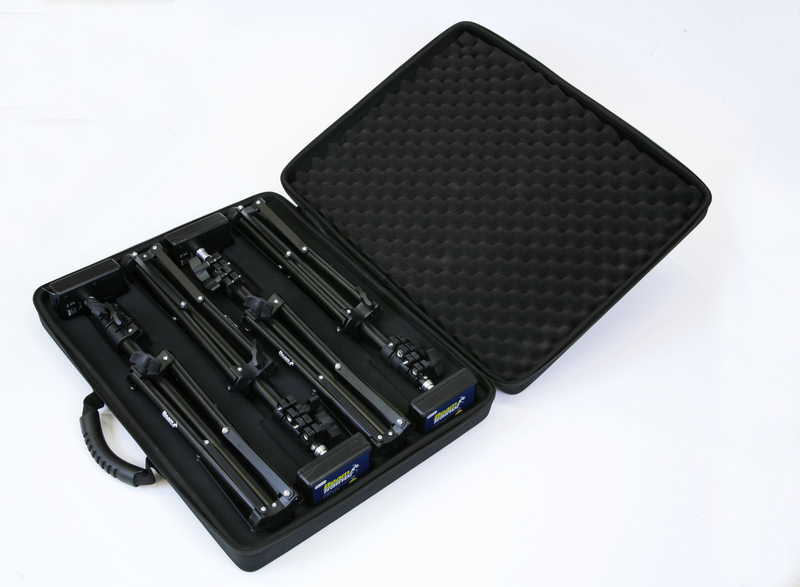 Contains two timing gates, four Tripods and a bag. 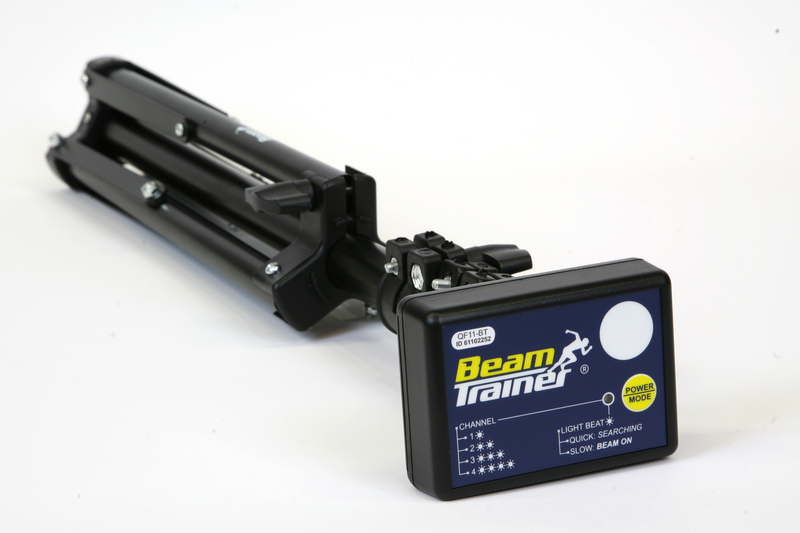 Beam Trainer® QF11- Athlete is a complete set of wireless timing gate system with extended range and built-in IR technology with 1/1000 of a second resolution. 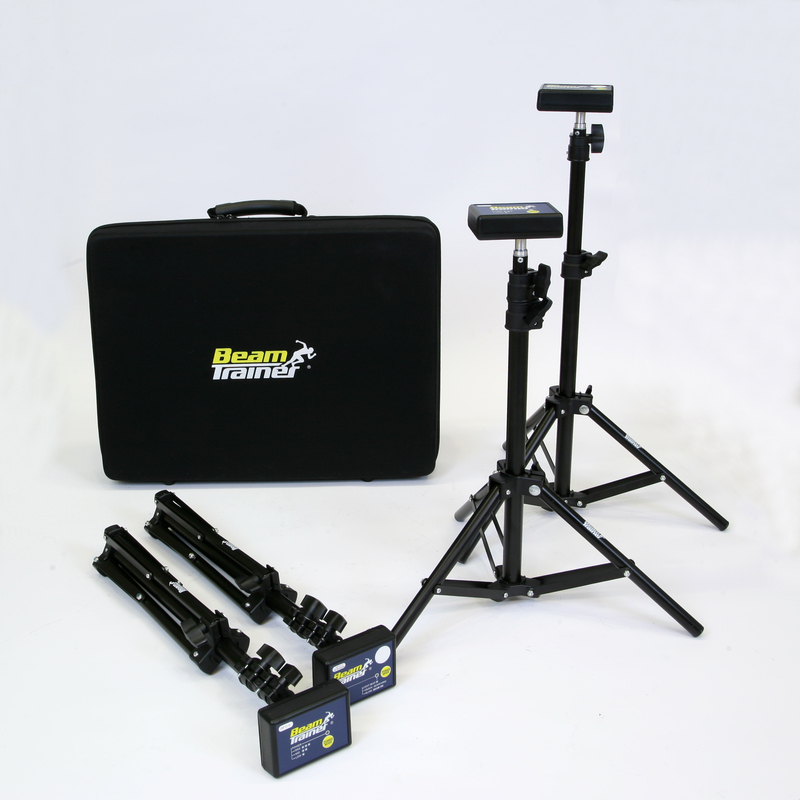 This system also incorporates a True Torso Detection technology, which effectively eliminates pre-hand beam brakes and significantly improves the accuracy of the measurement. 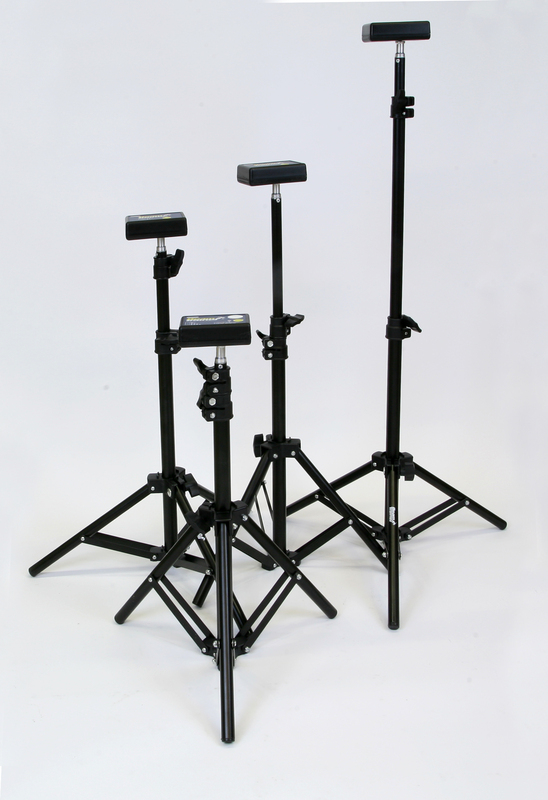 Photocell detectors are very easy to operate. Pressing the POWER/MODE button for approximately one second will power the device on or off. Also, different radio channels can be chosen using the same button, but typically the default selected channel will work just fine. 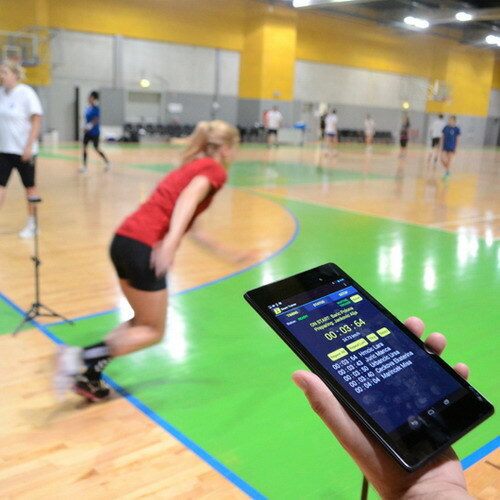 The QF11-BT will automatically connect to the mobile device with pre-installed Beam Trainer mobile app. It also provides the status of the beam, radio connection and the battery level. Note that one QF11-BT (or QF11-T) together with QF11-S create one timing gate when their red windows are facing one another. 2 x QF11-S, which is a light beam source. Pressing the POWER/MODE button for approximately one second will power the device on or off. The power status is indicated by LED “heartbeat”. With additional short button presses the user is allowed to selects one of the three power levels, to extend the battery life. After powering on the second power-level is selected, which is the most appropriate for a typical use. So normally there is no need to change it, and we’d use the button for powering the device on or off only. Note that one QF11-BT (or QF11-T) together with QF11-S create one timing gate when their red windows are facing one another. Compatible with Android mobile devices. One unlimited team can be managed. 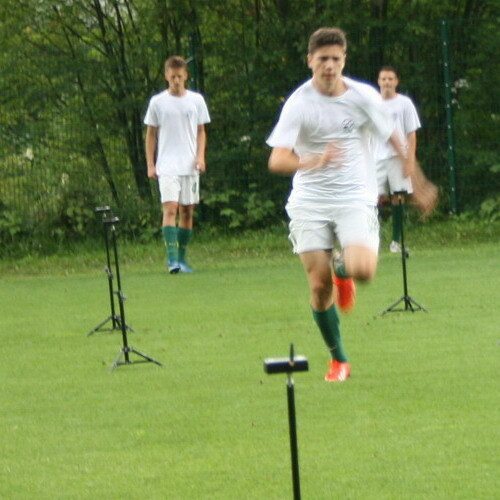 Several predefined activities available for easier operation like 1-2-1 tests, “T” tests (return to the same gate), dual gate flying sprints, etc. Very easy to configure, you can start testing just in a couple of minutes. Results can be viewed instantly or emailed. Unlimited number of teams can be managed. Unlimited number of timing gates are supported. Be the first to review “Timing Gates QF11- Athlete Set” Click here to cancel reply. Copyright © 2015 Domago d.o.o., All rights reserved.